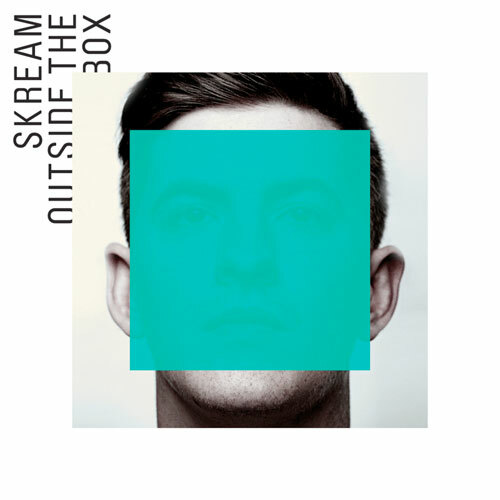 It's the last thing I should be talking about- Skream's Outside The Box, a rogue album with a confusing title is still something I can't really wrap my head around completely, which most people around the world apparently have as of 2010. My inability to fathom the critical response towards most of Skream's work constantly leads me to listen to his work- to pledge through his catalog more than any other Dubstep artist of that generation (sorry Benga and Benny Ill). It always seemed to me that the wrong side of Skream's music got the attention- I think 'Midnight Request Line' has the corniest sounding synths I've ever heard on anything that was supposed to be cutting edge electronic music- and I've listened to a shitload of Brian Eno, mind you. That being said, a bunch of tracks off Outside The Box do in some way or other hint towards the title of this album- it's just not the ones that most others agree are. Upon reading 'Deviant Staff's' review of the album on Sputnik Music, I came to understand how misunderstood Skream's music tends to be. As an extension of Dance music- Jungle and Drum'n'Bass tends to be a more Reggaefied and meditative approach to a dark sound made even darker and hyperkenetic. As an extension of Drum'n'bass, UK Garage brings the bass to a slower but, still, moving audience- something more familiar to those that understand the evolution of house music more than Drum'n'Bass. Then, as an extension of Garage comes Dubstep- something that brings the love of the harsh undertones of Drum'n'Bass but this time with a more understanding of the uniqueness of something like UK Garage. Then as an extension of all this is Skream- whom, probably being at the threshold of Internet nativity, knows his music history very well. Listening to Outside The Box isn't really as much of him working outside the box as much as acknowledging everything deep within it. The only time he tends to delve far out is when he shows understanding of more 90s Geekified Bleep/I.D.M./Chiptune sounds present in tracks such as 'C.P.U. ', 'How Real' and 'Reflections'. It makes sense to say that this is what Skream thinks is sitting outside his box. -'Finally' (Feat. La Roux) doesn't have to live up to the 'In for the kill remix'. It goes towards a separate, trancier and even-more-minimal direction. I do agree that her voice is kind of hard to work with, though. He pulls off a good job though. -'How Real' (feat. Freckles) does the best job at expressing the tone of what the whole album has been trying to achieve. A different mix of surreal, slightly playful but deeply dark elements to bring a slowly hazed dance track. -'Wibbler' is the Dubstep equivalent of 'Hocus Pocus' being on Chase and Status' No More Idols album. It's there just to let people know that Skream hasn't lost his edge and, if he wanted to, can still bring wobbly bass-Damage to the dance floor. Though it does remind me a bit too much of 'Simple City'- which is a good thing for me but a bad thing to who want to forget Skream comes deep from the L.F.O. scene. -'8 Bit Baby' (Feat. Murs) ...well, this one is hard to defend but the bass-drowned out minimalist sound mixed in with the fluttering 8 bit sounds bring a good deal of goofiness to a, rather, nervous album. I just don't understand how high up the list this track was. Murs might have been a big deal in 2010 or maybe Skream was trying to tell us to take this album as seriously as we can take Murs' nonsensical rhymes. All in all, Outside The Box does fall short but not for the reason everyone else says so. There's some good things in here but most people whom aren't very familiar with UK Bass/Electronic music tend to focus too much on the building repetitiveness and not on the unfolding energy seeping through the sound itself.